The imaging industry is demonstrating dynamic and innovative strength in Cologne 191,000 enthusiastic visitors, satisfied exhibitors: photokina, the world’s leading trade fair for photography, video and imaging came to an end on Sunday following a very successful week in Cologne. 983 exhibitors from 42 countries convinced a trade public and private visitors with a large number of product innovations from all areas of the imaging workflow. The new concept of the trade fair under the umbrella “Imaging Unlimited” came completely to bear in all sections: considerably more young users found their way to the Cologne exhibition halls and, besides curiosity and interest for all aspects of imaging, also brought the time with them to intensively consider new technologies and services. In the process, more photos were taken, films made and shared than ever before. Nearly 34,000 tweets with the hashtag photokina travelled around the world in the week of the trade fair alone. The societal megatrend of the image as a universal language continues. A focus on the “decisive and unique moment” was evident as an overarching trend at photokina. 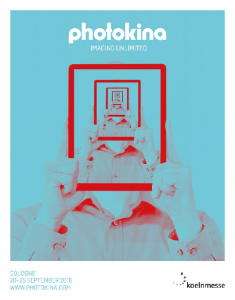 “We didn’t adapt the concept of photokina merely for the sake of change, but instead to also be able to offer the imaging industry a strong business platform in future. Access to new target groups is indispensable for this process. We are very pleased to see this concept taking off”, according to Gerald Böse, President and Chief Executive of Koelnmesse. The industry seemed satisfied following six days of intensive discussions with traders, consumers and industrial representatives. “photokina 2016 has underlined the dynamic and the innovative strength of the imaging industry. It was a special experience for all participants, from which the industry will greatly profit. The trade also took away important impulses for the coming months with it”, Rainer Führes, Chairman of the Photo Industry Association, looked back positively on the event. The success of the new concept is reflected in the figures: the share of visitors aged less than 30 increased by around a fifth. Around 40 percent of private visitors said they were at the photokina for the first time in 2016. The number of trade visitors remained at a stable level. Concentration on the one decisive and unique moment was evident as the overarching trend at photokina 2016. Technological progress is revolutionising the photography of moments. Consumers are increasingly returning to the one motif or the one moment that is printed out as representative of an experience or prepared in a special form. The boom of the instant cameras is simply one sign indicating this trend. The demand for individual output solutions is also increasing. photokina thus presented, for example, high quality printing on a variety of different materials. New textures, formats and creative impulses for photo books and scrapbooks at the same time take up the “do it yourself” trend and the love of the image. Increasing attention is thereby being paid to sustainability in production. The new cameras and lenses presented at photokina 2016 address the individual needs of professional users and ambitious hobby photographers. Whether 4K/6K photo function, exchangeable viewfinders, flexibly useable camera systems or recordings in RAW format that can be instantly edited: photographers today receive a maximum of support when it comes to capturing the “decisive moment”. In addition to the refinement of the technology, camera and lens manufacturers continue to attach importance to aesthetics: the trend toward purist design with maximum performance continues. The premium compact camera segment in the semi-professional range is increasingly at eye level with system and single-lens reflex cameras. New sensors, among other features, make this possible. photokina also offered filmers a broad range of solutions for the recording and processing of moving images, both for the professional segment and for video beginners. Imaging presents itself as even more individual and diversified when action photography, 360 degree recordings or multicopters are involved. This was shown in the different designs and technologies of the many new products presented and in the gigantic bandwidth of accessories and additional functions. The emphasis here is on the experience: the feeling of being in the middle of this unique moment instead of only being an observer. 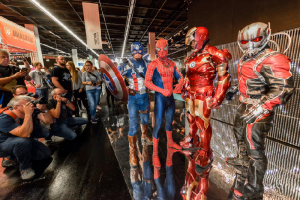 Virtual and augmented reality technologies make this possible to a greater extent than ever before, a fact which visitors were able to convince themselves of at many exhibitor stands. processing or as a sharing tool: smartphones and tablets are developing into a central factor in all areas of the imaging workflow. To this purpose there is a broad range of intelligent apps that also simplify archiving and presentation, among other functions. 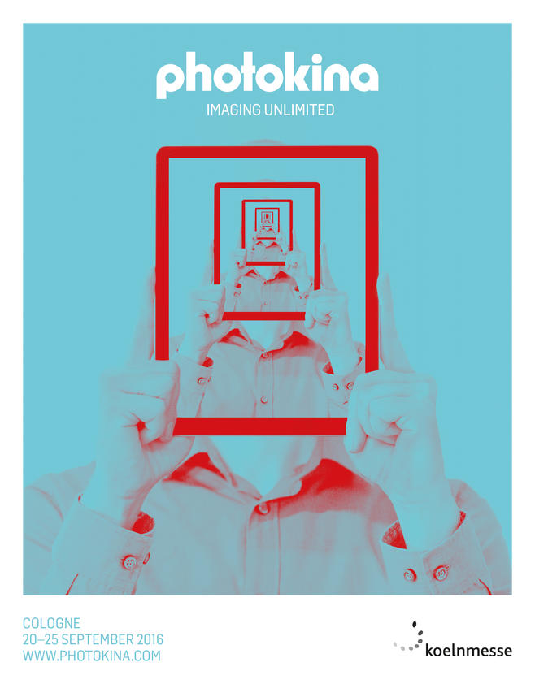 The new offerings at photokina, which were meant to make the motto of “Imaging Unlimited” experienceable, were very well-received by visitors. For example, the newly established RENTAL POINT for cameras and equipment was completely booked out over the entire duration of the trade fair. The artistic aspect of photography also came into its own in numerous image exhibitions. With the “Masters of Photography” exhibition, Leica, as the official photography partner, presented an outstanding collection of images in hall 1. The (image) communication through photokina also pushed forward into new dimensions: according to statistics, around 15,000 images were uploaded into publicly accessible areas of the social web and nearly 1,500 videos were shared worldwide in the week of the trade fair in connection with photokina. On the whole, photokina 2016 impressively proved that imaging technology and a love of the image is assuming completely new dimensions in all age and target groups. A total of 983 companies from 42 countries participated in photokina 2016, with 69 % of the exhibitors coming from abroad. The exhibiting firms included 211 exhibitors and 97 additionally represented firms from Germany, as well as 460 exhibitors and 215 additionally represented firms from abroad. Including the estimates for the last day of the fair, around 191,000 visitors from 133 countries came to photokina 2016. The next photokina will take place from Tuesday, 25 September to Sunday, 30 September 2018.